A public service announcement (PSA) is an advertisement that a television or radio station airs for a cause or a charity. A PSA can tout the importance of medical check-ups for children or ask you to donate money to the Salvation Army's bell ringers. You're probably familiar with PSAs, whether you're aware of it not. All those TV spots about the importance of screening for breast or prostate cancer are public service announcements. PSAs go far to alert and remind people about their safety, and the safety of others. Public service announcements are not paid advertising. A broadcaster donates the ad time as part of its commitment to serving the public interest. While there is no requirement for a broadcaster to air PSAs, it reflects well on the station when it comes time to renew its broadcast license with the Federal Communications Commission (FCC), so most broadcasters air them. You'll typically see public service announcements airing during low-viewing time slots such as after midnight and before 6 am. You'll also see them on stations with less share of the advertising market than their competitors. That's because those stations have more time to fill. A typical TV commercial break is two minutes. If a TV station only sold one minute's worth of traditional TV advertising, then it may choose to fill the remaining one minute with a 60-second PSA or two 30-second PSAs. This approach benefits everyone. Some TV stations make a decision to devote a certain number of advertising slots to PSAs, particularly for a campaign that has local impact. For example, in a city with a high teenage pregnancy rate, a Top 40 radio station that is top-ranked with a young audience might air spots on abstinence or birth control throughout its broadcast day, not just after midnight. There are several famous public service announcement campaigns that have aired across the country. These campaigns are typically tied to the Ad Council, which produces high-quality advertising with the help of some of the most creative minds in the nation. Two of the most famous campaigns in history involve protecting the outdoors. 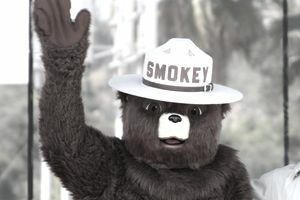 Smokey Bear has reminded people not to start forest fires since 1944. Another iconic PSA from the 1960s to the 1980s was Iron Eyes Cody, the Native American who shed a tear because people polluted his native land. Today, McGruff the Crime Dog teaches children the dangers they face in the world and how to prevent being victimized. McGruff has been on the case since 1979. Because broadcasters aren't forced to air public service announcements, for financial reasons, many don't. When there is time to fill in a commercial break, they often air TV station promotions, like topical ads for newscasts. In the heyday of Smokey Bear, TV stations didn't produce as many promotional ads for themselves. It was easier to run a PSA than to film a news promo. Today, in the uber-competitive world of broadcasting, TV stations want to brand themselves with as much self-advertising as possible. Unfortunately, PSAs are often left out in the cold or relegated to the wee hours of the morning.